Do You Hire a Controller or a CFO? Many people use Chief Financial Officer (“CFO”) and Controller interchangeably because they think it is the same position. In some companies, a Controller could be the top financial leader. But that does not mean they are a CFO or CFO-level. Before we answer the question of do you hire a Controller or a CFO, we need to understand when companies need to hire a financial leader. 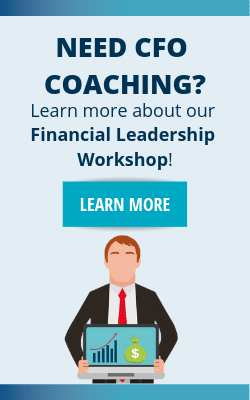 Every company needs a financial leader – depending on the stage or life/size of your company this financial leader may be a bookkeeper, accounting manager, Controller or CFO. For example, some companies over $25 million in revenue may want to consider having both a Controller and a CFO. In this blog, we will focus on the difference between a Controller and a Chief Financial Officer (CFO). Hiring? Did you know that employee turnover is the #2 reason why most businesses fail? Learn how to hire right the first time with our 5 Guiding Principles For Recruiting a Star-Quality Team! You need to consider hiring a Controller once the number of transactions in your company increase and the size of your company increases to the level of needing accounting records based on Generally Accepted Accounting Principals (“GAAP”). This may be $10 million in revenue and more. Why? At that level, you are beyond the basic cash basis bookkeeping. You need accounting records that are based on GAAP and accrual basis so that you can better manage your business. Plus, you may have bank debt that requires you to present your financials based on GAAP. As your company grows, you should always maintain the Controller function, eventually as the company gets big enough your company will have the Controller report to the CFO. The Controller “books the past” and continually works with historical information. Once your company gets to needing more than good accounting records based on the past, you may start considering hiring a CFO. Things that may require a CFO include forecasting, maintaining debt covenants, mergers and acquisitions, deeper analysis of the financial statements, managing capital structure, investors, banks, and/or taking your company public. Many companies find themselves in a stage of growth that I refer to as “transitory” – that is, your company is transitioning from small to medium or large. In this stage, you wish you had a financial professional with great experience such as a CFO, but you cannot afford a full time CFO. That is where an Interim CFO makes a lot of sense. Now, be careful as the Interim CFO market has become a popular market where many have jumped in and they lack the true experience. The problem is that you do not need a license or degree to become a CFO, anyone can call themselves a CFO. If you are seeking an Interim CFO, then call us and we can certainly help you identify a solid Interim CFO. Remember, a good CFO is a great manager, has good operational experience and is the strategic financial partners to the CEO. This is very much a multi-functional role within a company. It is a role that truly demands someone with not only good financial skills, but someone with excellent management skills. And as I already mentioned, a really really good CFO has very good operational experience and that person likes operations. A fish rots from the head down… Ever heard that saying? It’s absolutely true when dealing with leadership. Learn how to hire your leadership with our 5 Guiding Principles For Recruiting a Star-Quality Team! The big question is, do you hire a Controller or a CFO? It depends… It depends on the size of your organization. We speak to CEOs and business owners all the time, especially those under $100 million in revenue, they are not sure at what point they need a Controller and then a CFO. Every business is unique, and I do not want to generalize. But for conversation sake, if your business is between $10 million and $25 million in revenue, then a Controller may suit you well. If you are over $50 million, then you are at the size where you actually should have both functions of Controller and a CFO. Now I left the range of $25 million to $50 million without mention on purpose. That is because it depends. It depends on your complexity, industry, number of transactions and many other things. We have spoken to business owners of $35 million companies and determined that they can function very well with just a strong Controller. We have also met with start ups with zero revenue but funded $75 million in CAPEX by investors, well we highly recommend they hire a CFO from day one because they have big plans and complexity from day one of their operation. So every situation is really unique. Many companies opt to hire a Controller when they really need a CFO. These two roles are not interchangeable. Although in the same area of expertise (accounting and finance), these two roles are different. You cannot hire a Controller and expect them to be your CFO. These are two very different functions. And it is simply a fact, not all Controllers make good CFOs. As already mentioned, a CFO has certain characteristics that many Controllers simply do not have and frankly do not want to have. Take your time to understand the different roles. You are not alone because all growing companies are facing this dilemma. But we are only a phone call away and can help you sort through this challenge and assist you in making the right decision no matter where in the world you are located. If you are hiring either a CFO or Controller, then take the time to truly understand the difference between the two. Because the financial function is a sensitive one, it’s important to chose someone who will not only be loyal and trustworthy, but will make your team star quality. Check out our free 5 Guiding Principles for Recruiting a Star-Quality Team now! Then answer the question, do you hire a Controller or a CFO? 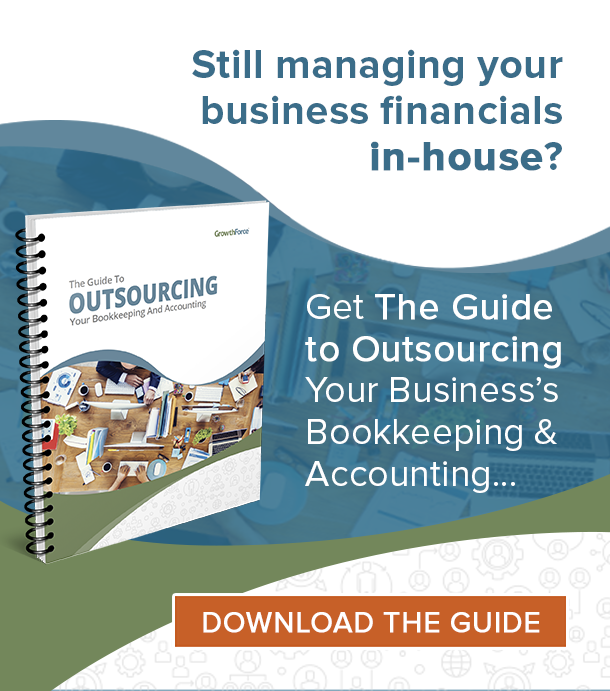 What Accounting System Should Your Company Purchase? Does Your Business Need A Financial Audit? 4 Responses to Do You Hire a Controller or a CFO? Since you mentioned that a CFO’s services include forecasting, I think an outsourced CFO would be able to help us get an accurate forecast for our business outlooks. I’ll take into account what you suggested and hire a CFO who is a great manager and has good operational experience so that we will get the best out of our money’s worth. Since it’s part of their job description to provide for the CEO to implement as you suggest, I’ll hire a CFO if I find any good ones so that we can grow as a business faster than ever before. Hi Sariah! Thanks for commenting! We would love to help you and your company out. One of our CFO consultants can build a forecast for you and help you with those business outlooks. We can also search for the perfect CFO for you. Either email us at info@strategiccfo.com or give us a call at (832) 710-3105. Hi Ronnie! We would love to help you find a CFO for your company. I’ll send you an email.